Before placement anywhere, all need to be spayed/neutered and given at least rabies shot. If some are tame, they need to go to an adoption group and get a safe, indoor home. Never put kittens in a barn / ranch / farm environment. They can be carried off by a hawk or an owl. My rule: any cat has to be larger than an adult rabbit. You need to find a place to take the ferals after sterilization. Put up a flyer around in large animal veterinarian’s offices. Look up house riding / boarding stables in and around your area. They contact them and see it they need any barn cats. The cats need to be contained on the property to get acclimated. We use cages but they could be kept in a tack room or other closed in area. Do some internet searches and see it any horse breeding facilities come up in your area. Call one location. If they cannot help you, ask for a reference of another place…then follow the trail. Contact you County Extension Office and ask for big ranches, etc, around your area. Plant nurseries and dairy farms always have rat problems especially those “all natural” locations that do not use poisons. There is a website ohorse.com that is organized by state and county. It is all types of horse references…boarding, riding, breeding, etc., etc. The national organization for feral cats is Alley Cat Allies in Baltimore. alleycatallies.org. There is a list at their website that is for feral cat groups by state. Most of those groups do Trap/Neuter/Return but they might have some barn leads for you. 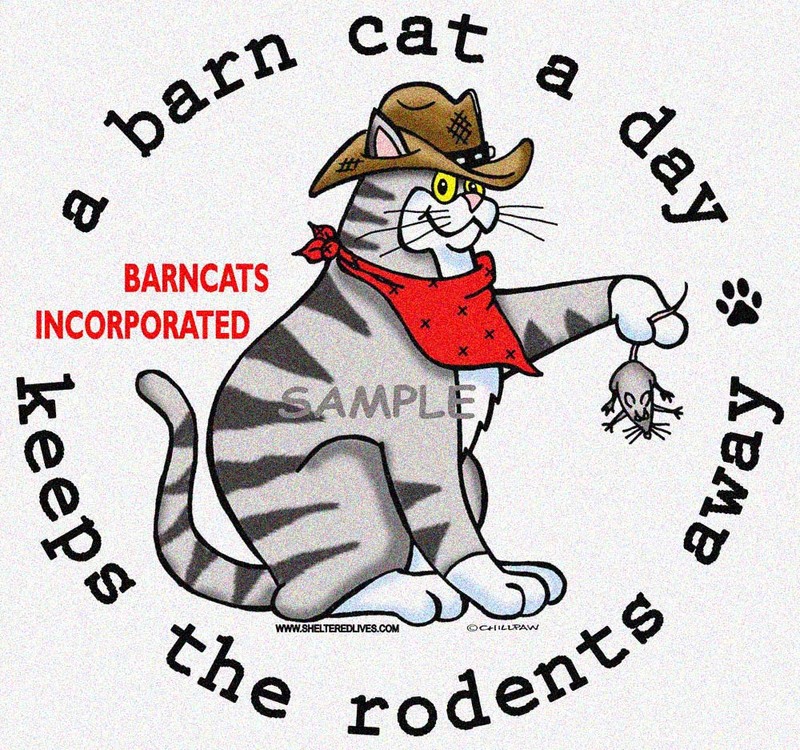 If you will send an email to info@barncats.org and ask for info on placements, I can forward other emails that are perhaps from barn owners looking for cats in your area. Please put your city and state in the subject line.